Macuco Quintet plays original compositions inspired by Brazil and more, plus some by Hermeto Pascoal, and one by Julius Hemphill. 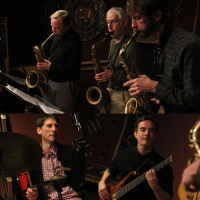 Formed in Boston in 2014 by Joel Springer, a long-time member of Your Neighborhood Saxophone Quartet, the group features saxophonists Allan Chase, Rick Stone, and Joel Springer, bassist Fernando Huergo, and drummer Austin McMahon. Their first CD, Friendly Signs, was released on June 1, 2018. Listen below! All About Jazz musician pages are maintained by musicians, publicists and trusted members like you. Interested? 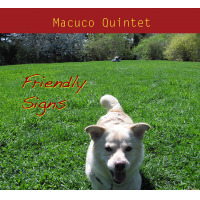 Tell us why you would like to improve the Macuco Quintet musician page.